Hose Inside Diameter (in): 0.313 in. These Dayco fuel line hoses are designed to be used with all types of non-fuel injected gasoline and diesel engines. Constructed with a neoprene cover and nitrile tube reinforced with a single ply of braided cord, these hoses provide great resistance to gasoline, oil, grease, and weather. Dayco fuel line hoses meet SAE J30R7 requirements and they also meet the fuel permeation requirements of SAE J1527 Class 2 specifications. 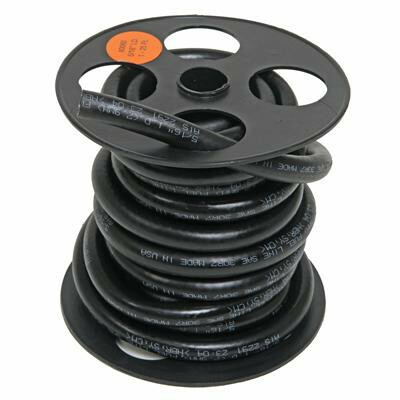 Fuel Line Hose, Nitrile Rubber/Neoprene, Black, 5/16 in. I.D.